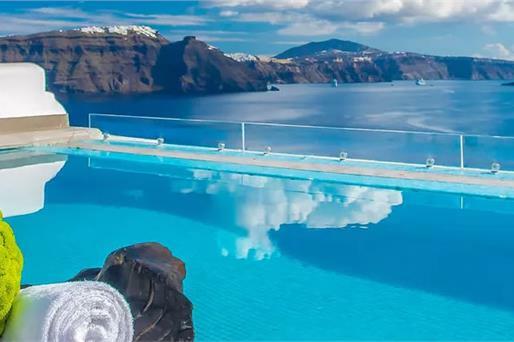 Poseidon Mansion is nestled on the famous cliffs of Oia in Santorini, gazing the beauty of the infinity Aegean Sea and worldwide famous caldera. The mansion is an authentic luxurious house with almost insignificant changes from the original construction. 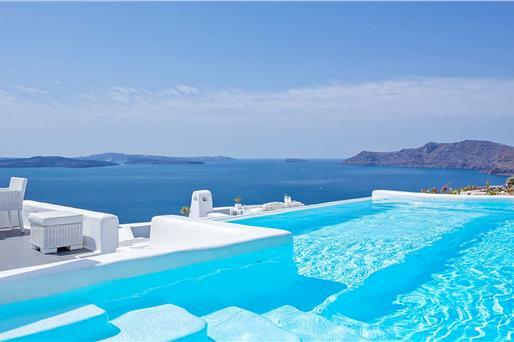 The house and the primary furniture were restored with respect and attention to serve with their own charm your needs to accomplish an authentic and luxurious accommodation in Santorini. 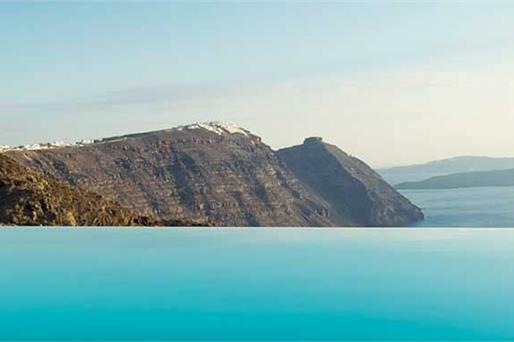 Poseidon mansion in Santorini is a luxury house of a hundred and twenty square meters interior space, with sophisticated decoration, high walls, a wide terrace with stunning caldera sea view, and beautiful patio, decorated with elegant furniture, ideal for relaxation, candle light dinner and a unique celebration event. The imposingly mansion with high walls, parquet floors and antique furniture offers a spacious living room with an office and a PC, three double-bedded bedrooms, a single bedroom, a dining room a fully equipped kitchen and a bathroom. 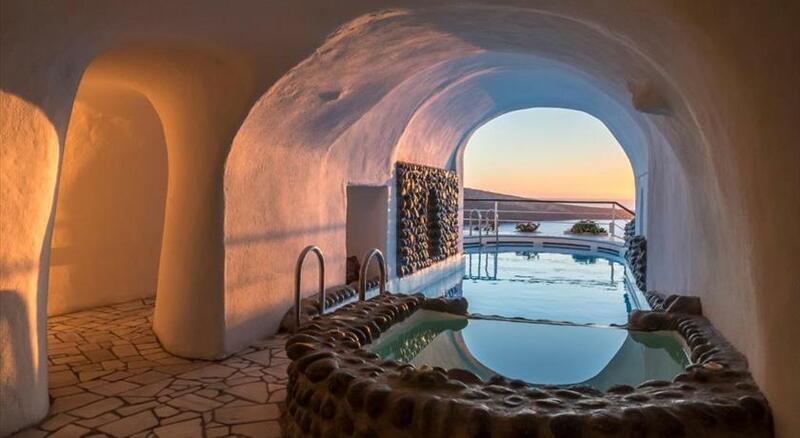 Located in Oia Village , Poseidon Mansion Sunset offers a hot tub . 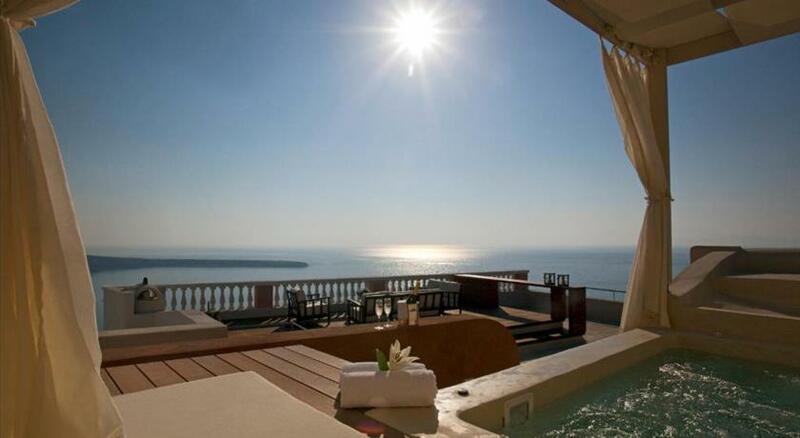 It features a fully equipped and tastefully decorated unit with free WiFi access and views of the Aegean Sea and the caldera . 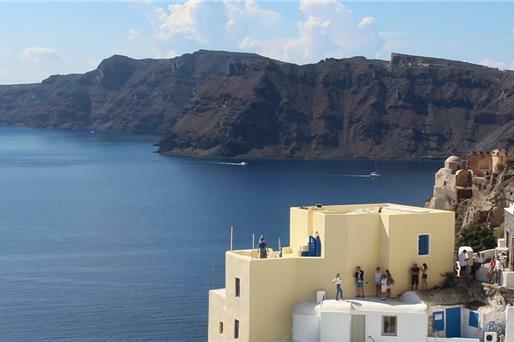 The property is 300 metres from Naval Museum of Oia. 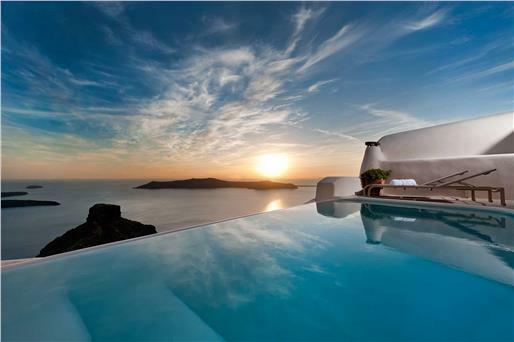 Opening to a balcony and a patio, this air-conditioned villa of Poseidon Mansion Sunset has 4 separate bedrooms. It consists of a living room with laptop and flat-screen, satellite TV, as well as a kitchenette with a microwave and a dining area. A washing machine is included. Featuring a garden, the property facilities provide a BBQ and a table tennis, for the guests' entertainment. A laundry and daily maid service are offered. More facilities include a laptop and printer. Cape Columbo Beach is 4.4 km away and Saint Nicholas’ Church is at a distance of 11.3 km. 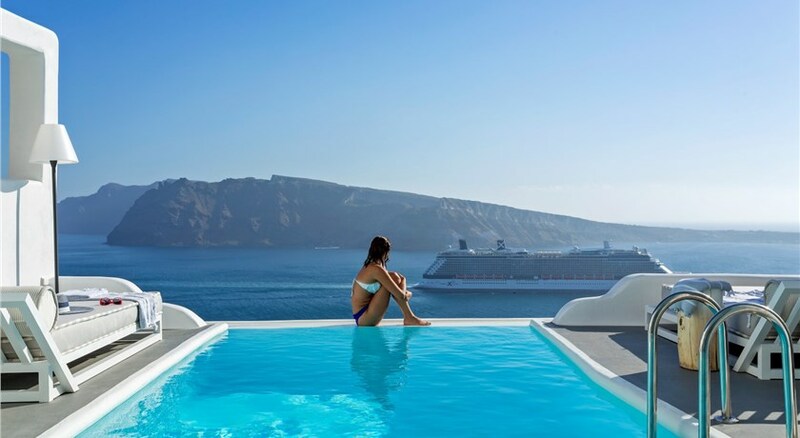 Santorini (Thira) Airport is located 11 km away. All children are welcome. All children under 16 years are charged EUR 50 per person per night when using existing beds. There is no capacity for cots in the room. There is no capacity for extra beds in the room. 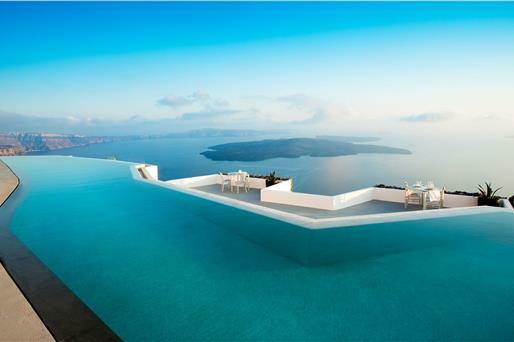 Please inform Poseidon Mansion Sunset in advance of your expected arrival time. You can use the Special Requests box when booking, or contact the property directly with the contact details provided in your confirmation. Please note that Greek breakfast can be served upon request and at extra charge.